﻿ What’s derailing retail design consultants’ growth journey? Home » News » Retail » What’s derailing retail design consultants’ growth journey? The growth story of the Indian retail industry is hardly reflected in the performance of Indian retail design consultants. Is it because of lack of enough retail design consultants in the country who can offer end to end solutions? Or is it due to inadequate understanding of retail design as a holistic experience? VM&RD seeks to find some answers. From disruptive brand deployment to clutter breaking storytelling, retail brands are leaving no stone unturned in sprucing up their brick-and-mortar presence. 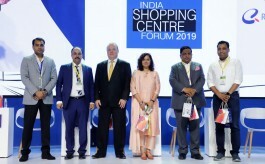 What’s more, brands from across a range of segments and categories are today joining the retail bandwagon in India, focused on crafting an impactful retail experience. An industry body study shows that retail has emerged as one of the most dynamic industries in the country, reportedly accounting for over 10% of the country’s GDP and around 8% of the total employment. The report also says that while the overall retail market is expected to grow at 12 % per annum, modern trade would grow at 20 % per annum and traditional trade at 10 % . This obviously means higher business volumes for retail design agencies and it would seem that all is hunky dory for the industry, with a robust eco-system of retail solution/service providers, all equally poised for growth, right? Wrong. The fact is that while there are many architectural agencies who are into retail design, there are very few consultants specializing in retail design as a complete solution in the industry. Also, while many of these consultants have made their way up the ladder to become the most sought-after names, their individual growth seems rather stunted, certainly not commensurate with the growth of Indian retail as a whole. It appears that these gaps are a reflection of larger issues, beginning with a lack of understanding of retail experience as a concept in itself. Now interestingly, even after brick-and-mortar made its glorious comeback, not many, particularly among the retailers, seem to have really cracked the essence of what a retail experience is all about or have spent enough resources to understand customer behavior. As a result of inadequate understanding of retail experience, the whole eco system suffers, in particular the retail design consultancy business, as retailers do not feel the need to invest in a retail design consultancy firm for consistency of ID or design purpose. Thus it’s the retail design consultant who again suffers, because when the project is done in piecemeal and not as a complete roll out, then the returns don’t justify the efforts and cost involved in it. And in the end, between tight time lines and lack of enough bandwidth to match the scale of store rollout plans, what gets lost is the core of retail experience – a right blend of physical design and intangible elements. 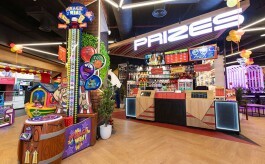 So the challenges seem to lie in a vicious circle – retailers don’t focus on store design as a consistent long-term plan and therefore go to retail design firms for last minute store executions, which is time and pressure bound and offers no scope for creating unique design concepts. Since these projects do not monetarily sustain the design consultancy firms on a long term basis, they are constrained and unable to add more value to what they can offer to the retail clients. The high end organized retailers in the country thus end up going to international design consultants to meet their retail requirements. A look at any of these top retail entities shows that their designs were handled by international retail agencies -- ‘HD retail ID’ for Central was done by Blocher Blocher, Foodhall at Chanakya, Delhi by Paris-based Melherbe, Croma’s small format true blue omni channel ID by Chute Gardeman, Airtel’s phygital ID by London-based Eight Inc. The list goes on. These are retailers who pay Rs 100 lakh plus as design consultation fee and in some cases even go up to Rs 200 lakhs. So here is the other side to the issue, which is the perspective of these high-end retailers according to which, design consultants from the West come with end-to-end solution comprising graphic design, brand communication, the whole works, while India’s top retail design consultants are more of interior designers. So while Indian retail design consultancy firms have their own reasons as to why they are not able to offer complete design solutions, their top end retail clients seem to have a different take. This again is a reflection of larger issues such as insufficient focus given to store design as long term initiative by retail brands. So the crux of it is that if retailers can look at design as something that needs separate investments in terms of expertise and planning and hire retail design consultants as partners who can offer concepts and not just do store rollouts, then it would lift the whole industry. It would give the retail design consultancy firms the assurance of long term revenues which can help them build infrastructure, talent and research capability to offer more to their clients, including concepts and end to end design solutions. Of course this is not to say that the design consultancy firms have to wait for the retailers to change their approach. In fact the good news is that a few retail design consultants are already investing resources in research and strategy before getting down to designing the stores. As they point out, Indian customer demography is unique, which only Indian retail agencies can understand and translate into a workable design solution for retailers. But the need is for more such research backed retail design strategies and for retailers to understand and acknowledge this. Indeed, a few leading design institutes have started offering courses in retail design, but the course content is often not on par with contemporary and global trends. So clearly there is a big need for cutting edge retail design training, among other factors. 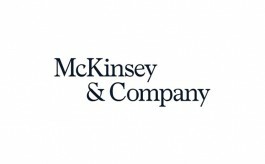 Well, the sooner these industry must-have’s are in place – retailer acceptance of Indian design consultancy as a necessity for a good store experience and better profitability for retail design consultancy firms so that they can invest in research capability, infrastructure and industry-ready talent -- the better. After all, world over retail behemoths have re-strategized their store size, space, merchandising and the overall design of retailing. And for Indian retail to keep pace with these trends would mean a strong retail design consultancy industry which can sustain itself on pure play design. This means a collaborative strategy between both the retail brand and the retail designer for delivering a complete design solution – one that is tuned to customer behaviour and matches the need of the hour.